Banisteriopsis caapi can be grown outdoors in appropriate climates, or within greenhouses and grow tents. Although the vine takes a while to grow, eventually, growers will have their very own supply of this mystical ingredient of the ayahuasca brew. Ayahuasca is a DMT-containing Amazonian brew that has been used in the region ceremonially for thousands of years. Ayahuasca has recently surged in popularity among health and wellness circles in the Western world. Reports stemming from South America speak of how the mixture helps people overcome diseases of the body and mind. Guided by an indigenous shaman, people embark upon an internal voyage that helps them get in touch with themselves, purge, and experience vivid hallucinations. 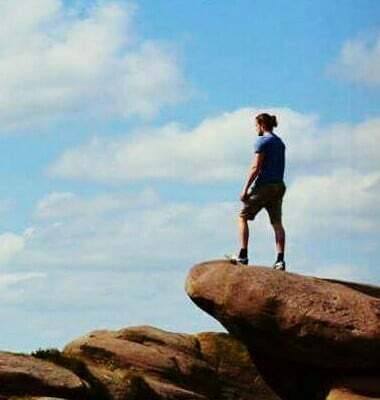 Can DMT Cause An Outer Body Experience? Out of body experiences, abbreviated to OOBE, is a phenomenon achievable by anyone with some practice. Many prefer to call it “astral projection. Outside of anecdotal accounts, ayahuasca has been studied by researchers for its therapeutic potential, which includes its ability to treat substance dependence, and its action against low-grade inflammation and oxidative stress. One study found that ayahuasca was capable of rapidly reducing the symptoms of treatment-resistant depression, with effects lasting up to three weeks. The foundation of the herbal brew consists of two plants that work together to produce a long-lasting psychoactive effect. One of these components is Psychotria viridis, which contains the psychoactive alkaloid DMT, or dimethyltryptamine. The other is Banisteriopsis caapi, which contains B-carboline type alkaloids such as harmine and tetrahydroharmine. However, ayahuasca preparations can vary, and are reported to contain a mixture of up to 100 different plants. The focus of this article is upon Banisteriopsis caapi, known by many other names, including the “spirit vine”. WHAT IS BANISTERIOPSIS CAAPI AND WHY GROW YOUR OWN? Banisteriopsis caapi is a central ingredient of the ayahuasca brew, adding three indole alkaloids into the mix. B. caapi contains reversible monoamine-oxidase A (MAO-A) inhibitors by the names of harmine, tetrahydroharmine, and harmaline. 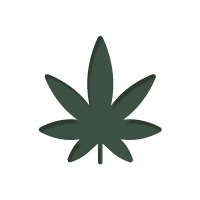 These alkaloids inhibit the action of an enzyme that usually breaks down orally ingested DMT, allowing it to remain intact within the body for long periods of time, and to pass the blood-brain barrier. Banisteriopsis caapi is sometimes also consumed in a tea by itself, created by infusing the stems of the vine in water. The alkaloids within Banisteriopsis caapi are also suspected to have mind-altering qualities of their own, and are believed to contribute towards the brew’s effects on the central nervous system. One of the most interesting areas of research concerning Banisteriopsis caapi involves the investigation of its B-carbolines’ ability to induce neurogenesis. Neurogenesis is a process that involves the formation of new neurons within the brain. During neurogenesis, neural stem cells differentiate into a variety of specialised cells within specific regions of the brain, such as progenitor cells, which can go on to form neurons. In vitro research suggests that these alkaloids are involved in the direct regulation of the proliferation, migration, and differentiation of neural stem cells. Such results indicate that B. caapi B-carbolines facilitate neurogenesis. These findings may have significant implications, as there exists an association between neurogenesis and antidepressant action. Future studies have been recommended in order to explore the therapeutic potential of the vine’s alkaloids in psychiatric and neurological disorders. Based on scientific literature surrounding the plant, Banisteriopsis caapi is certainly an exciting specimen to grow for hobbyist ethnobotanists and intrigued psychonauts. There also exist numerous anecdotal accounts of microdosing B. caapi and ayahuasca online, with some individuals arguing positive benefits and others describing negative effects. Banisteriopsis caapi can be grown from both seeds and cuttings. Cuttings can be obtained from various vendors online. Cuttings can be rooted into soil in an act known as cloning, and then flourish into fully formed plants later down the line. Growing Banisteriopsis caapi from seed may be a more satisfying process for gardeners, botanists, and collectors out there, knowing that they produced the plant from its earliest form. If you elect to start your grow from scratch, you’ll need to find a place to source your Banisteriopsis caapi seeds from. 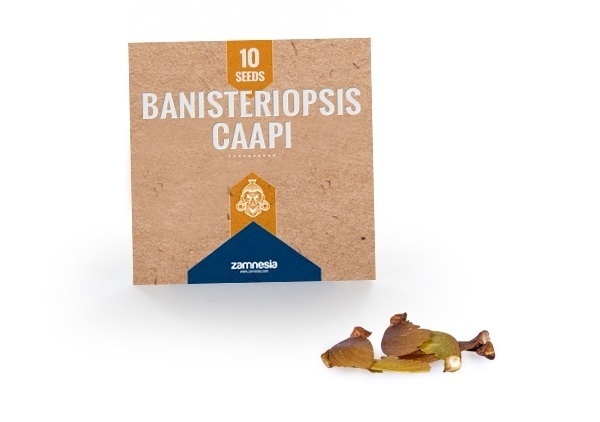 Zamnesia sells a variety of smart seeds, including Banisteriopsis caapi seeds are sold in packs of 10, increasing the chance of successful germination. Banisteriopsis caapi is known to take quite some time to cultivate, so patience is certainly a virtue when it comes to introducing these specimens into your garden. The germination process, however, isn’t too lengthy. This process can give growers a nice boost of motivation early on. Germination and sprouting are reported to take place within 3 - 4 weeks of sowing the seeds. Once seeds have been obtained, it’s time to formulate a soil mixture that will provide plants with nutrients in the early stages of their development. This soil needs to be well-draining; therefore, it’s advised to include 25% perlite in the mix. Perlite is a type of volcanic glass that exhibits porous qualities, meaning it can absorb water, which makes it helpful when it comes to drainage. Adequate drainage may reduce the risk of fungal infestations. Perlite is also beneficial when it comes to aeration, allowing water, oxygen, and organic materials to be more accessible to plants. Because Banisteriopsis caapi grows within the Amazon rainforest, it may be beneficial to achieve similar soil to what is found within its natural environment. Therefore, it’s wise to avoid starter mixes that are heavy in peat. Instead, opt for something richer and more nutritionally dense. The vine is accustomed to the climate of the rainforest, and prefers temperatures of between 17–30°C and high humidity. Those living in tropical regions could grow it outdoors, while those elsewhere may find more success cultivating within grow tents or greenhouses. Banisteriopsis caapi seeds look fairly similar to seeds belonging to maple trees, in that they posses two joined seed pods that are flanked by a wing-like structure. The seed pods can be separated and the pod-end should be placed into the soil, with the wing sticking out of the topsoil into the air. Even if the pods and wings are not intact, you can still germinate the seeds. It’s recommended to keep a plastic bag or sheet over the top of your pot during this process in order to maintain good moisture levels. The bag should be removed periodically in order to ensure airflow and to prevent excess moisture from building when the soil is wet. Make sure to remove it when water droplets start to form upon the piece of equipment. It's recommended to water the seeds once per day. Let the waiting game begin. Once your seeds have sprouted, it's time to relocate them to a new home where they will be given the space to grow to their full potential. Transplant the sprout into a pot consisting of a diameter of at least 20–30cm. However, transplanting to an even bigger pot will sidestep having to possibly transplant again multiple times in the future. Place this newly inhabited pot under direct sunlight. Bury two wooden stakes (up to a metre tall) deep into the soil on either side of the small sprout. These will serve as structural support to the winding growth of the wine. From this container, vines will eventually grow to larger sizes; but it can take multiple years for plants to gain substantial size. Many cultivators might grow Banisteriopsis caapijust for the fun of it, while others intend to grow a decent supply and render them down into teas. As stated, this process takes quite some time, and some growers might want to ingest the tea before harvest time commences. Banisteriopsis caapi can be purchased from the Zamnesia shop in 50g cases, allowing growers to enjoy the tea whilst waiting for their own supply to grow over a longer period of time. If the grower in question is cultivating Banisteriopsis caapi as a component of the ayahuasca brew, they may also be looking to cultivate other plants involved within this mixture. Luckily, these admixture plants are available at Zamnesia too!